Free Printable Love Heart Heart Wall Art. 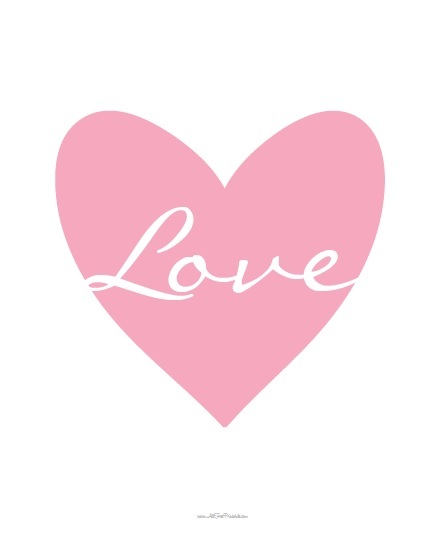 Free Printable white LOVE word inside a pink heart Wall Art that you can use for you next Valentine’s Day decoration project. Great for your home or office new decor. This makes a great gift for your loved ones. Express you love this Valentine’s Day with this free 8 x 10 Love Heart Wall Art Sign. Print it using your laser or inkjet printer, card stock paper and a beautiful 8 x 10 frame of your preference. Put the Free Printable Love Heart Wall Art at a visible place at home or office and done. Enjoy the free Love Heart Wall Art Sign in ready to print PDF format.